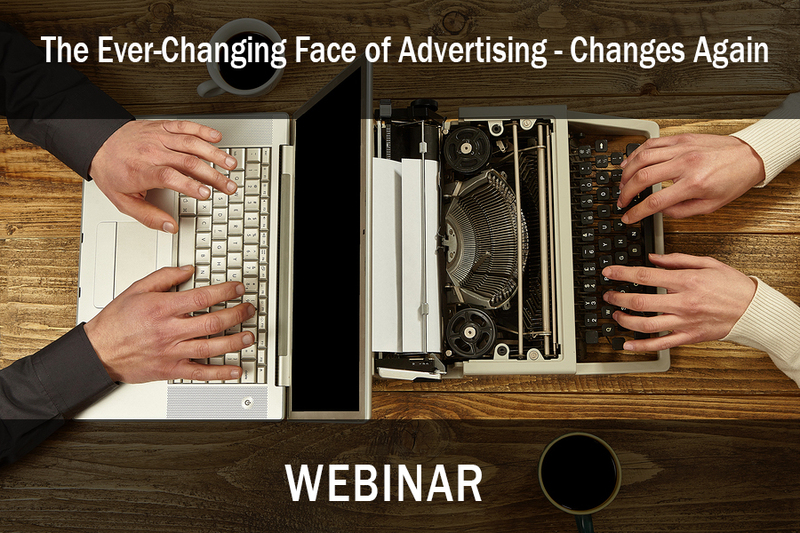 In this 2/7/18 webinar, The Ever-Changing Face of Advertising, Changes Again, RSW/US Owner and President, Mark Sneider, presents a blueprint to help agencies work their way through the changing marketing and advertising world of 2018. Our 12/11/17 webinar, Countering the Changing Trends in Agency New Business, focused on findings from our RSW/US 2017 Agency-Marketer New Business Report. Agencies and Marketers nationwide responded to our survey, answering questions on the changing trends in new business, including: new business director tenure and overall success, current challenges inherent to agency new business, referral frequency, in-house agency usage, project vs. AOR work and more. Our webinar (based on our new 2017 Tools Report, co-sponsored with Mirren New Business) from Wednesday, June 7th, 2017. In it, RSW/US VP of Sales, Lee McKnight Jr., walks you through the tools your agency peers find most useful to drive new business. As you’re budgeting for or considering tools to add to your new business arsenal, this webinar will be helpful. Lee will talk the top tools, new tools, and also present realistic options for building the right tool-set. With so many out there, you can’t use them all, but we’ll talk the right mix from the ground floor. 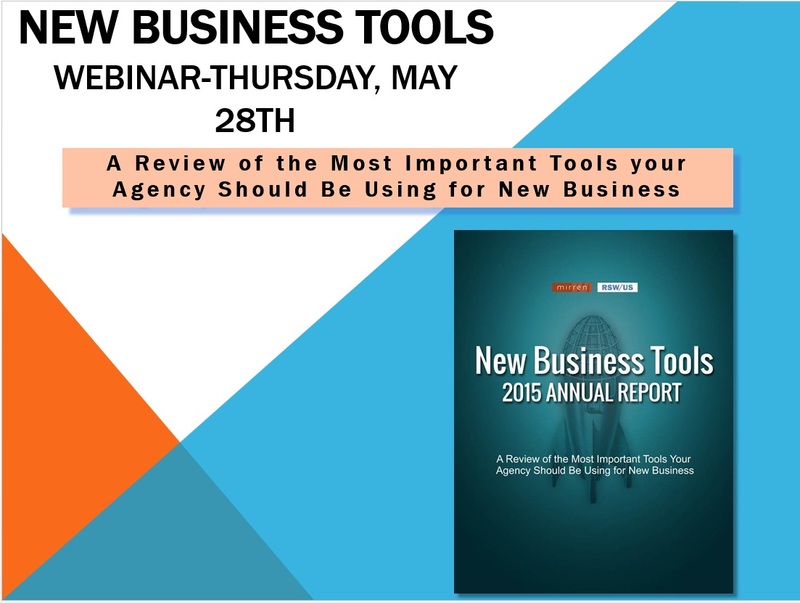 Now in its fifth year, The New Business Tools Annual Report summarizes the findings from nearly 400 US agency executives on the use and effectiveness of tools across a range of nine different categories most critical to an agency’s new business function. Each year, RSW/US and Mirren join forces to survey agencies across the U.S for insight on the effectiveness of a wide variety of new business tools they use to support and grow their business. The most popular tools and how to use them most efficiently. The tools and technology that are increasing most rapidly in use. Some important tools – that may not be getting enough attention. 2016 marks the fourth year that Mirren and RSW/US have collaborated on the New Business Tools Survey and Report. Learn what’s changed over the past year, and what new offerings have arrived in the mix. Each year, RSW/US conducts a survey asking both Marketers and Agencies for their perspective on the state of the advertising/marketing industry. We received nearly 300 responses from Senior Marketing Executives and senior Agency leaders in our most recent survey. Our new business webinar, A 2016 View Through the Marketer’s Eyes, presents insights gleaned through year’s survey. In addition, we asked Marketers and Agencies about the most “troubling trends” they observe in each other. Mark also shares feedback from this open-ended question in the webinar. Learn how your peers are viewing industry trends in A 2016 View Through the Marketer’s Eyes. The explosively rapid adoption of Inbound methods creates for Agencies the twin challenges of differentiation and saturation. Agencies have well-established systems in place for other priorities in their firms. The same discipline is important for managing agency new business through a holistic new business process that incorporates both inbound and outbound components. Proactive Prospecting + Inbound = Agency New Business Success is a webinar based on talks given by RSW/US executives at key industry events over the past few weeks, including HubSpot’s INBOUND 2015. Join RSW/US Owner & President, Mark Sneider, in this webinar as he presents how a three-step process your firm already employs for clients can generate quantifiable results for your agency new business program as well. RSWUS Agency of the Future Webinar–Does your Firm Have the Traits for Survival? You’ve noticed: the advertising and marketing industry is in a period of evolution. New challenges seem to develop every day. Along with them, however, emerge new opportunities. In this webinar, RSW/US President & Owner Mark Sneider describes eight traits your agency needs to grow, in light of ongoing change. • Identify and describe each trait. • Explain the data behind each. • Offer steps your firm can take to Future-Proof itself. Agencies and marketing service firms provided insight on the effectiveness of a wide variety of new business tools they use to support and grow their business. Learn what tools they’re using and how it can help your agency. • One of the most important tools – that may not be getting enough attention. • The most popular tools and how to use them most efficiently. • The tools and technology that are increasing most rapidly in use. 2015 marks the third year that Mirren and RSW/US have collaborated on the New Business Tools Survey and Report. See what agencies said in 2015. Learn what’s changed, and what new offerings have arrived in the mix. In this February 25, 2015 agency new business webinar, Mark Sneider, Owner/President of RSW/US, shares findings from our 2015 New Year Outlook Survey, which was sent to both Marketers and Agencies. This was the first time we asked Marketers and Agencies to describe the MOST TROUBLING TREND they see about each other. Slide Deck available on the RSW/US SlideShare page here.